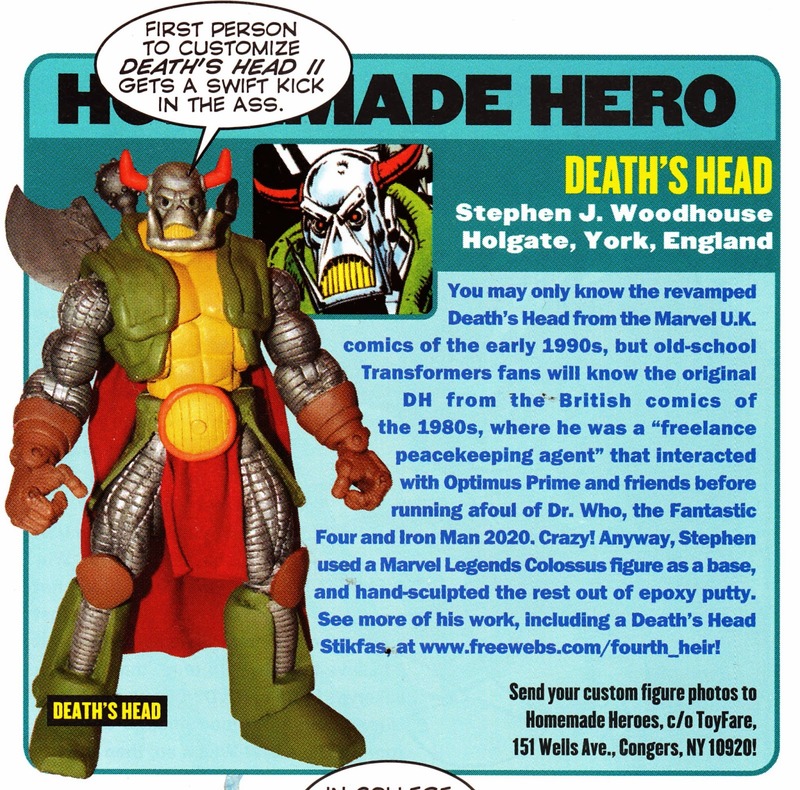 I stumbled across this completely by chance in a random issue of the US magazine TOYFARE: a reader-made custom DEATH'S HEAD figure. The closest we'll probably get, unless REVOLUTIONARY WAR sets the world alight, to seeing an actual, honest-to-goodness DH action figure. This appeared in issue 97, cover-dated September 2005. TOYFARE was a spin-off from the WIZARD hype machine and, as the name suggests, it specialised in action figures and associated shelf-filling nicknacks. At its peak, it even (for a price) offered exclusive figures as mail-away items for readers. It expired alongside the rest of WIZARD's print efforts when the company bailed out of the publishing business in favour of organising conventions across the States.